Background & aim: The Licensing Act (2003) gives English local authorities the ability to implement Cumulative Impact Policies (CIPs) which are intended to strengthen licencing powers and limit the growth of on- and off- premise alcohol outlet density. Local authorities can now enforce CIPs by designating boundaries within their borough as cumulative impact zones (CIZs) if negative social effects of alcohol market saturation can be demonstrated. We are using quantitative and qualitative research to evaluate the effects of this intervention in the London borough of Islington. The study runs from May 2014 until April 2016 and is funded by SPHR’s Public Health Practice Evaluation Scheme (PHPES). Key research questions: Why and how do local authorities implement CIPs? 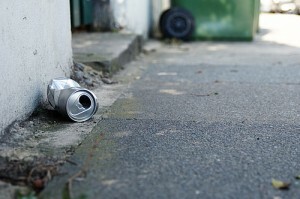 How, and to what extent, do CIPs affect alcohol-related harms among local populations in Islington? How can our evaluation of CIPs meaningfully inform future local authority alcohol policies in and beyond Islington? Population: The London Borough of Islington has a diverse population of 206,000. The CIZs cover all major night-time economic areas in the borough, which includes most of the shopping areas and main roads. Study design and methods: Our evaluation of this complex intervention involves a mixed method program of research. The qualitative arm of our study includes conducting individual and group interviews with stakeholders (e.g., licencing officers, councillors, police, trade and alcohol consuming populations). We are also conducting documentary analysis and observing licencing meetings to better understand how this intervention operates at the local level. The quantitative component of this evaluation draws on diverse data sources (e.g., alcohol hospital admissions, anti-social behaviour calls) to map the pathways by which the intervention operates and account for intermediate process and long term health outcomes.